That price was $5.5 million, setting a world record of $305,516 per carat for an emerald at auction. “Harry Winston is immensely proud to own the finest emerald in the world, which once belonged to one of America’s most important dynasties,” Hayek said. 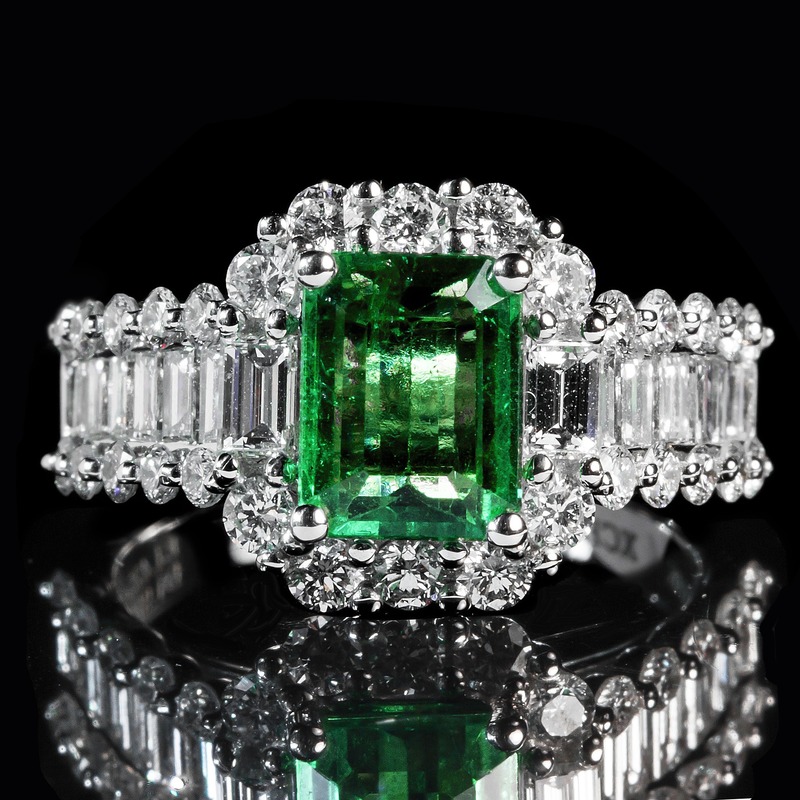 The octagonal, step-cut, 18.04-carat emerald ring was acquired in 1930 by John D. Rockefeller, Jr.
Other jewels at the event included a 5.01-carat, fancy deep grayish-bluish-green, VS2-clarity diamond, which found a buyer at $4.4 million and a round brilliant-cut, 16.11-carat, D-color, flawless diamond went for $1.9 million.